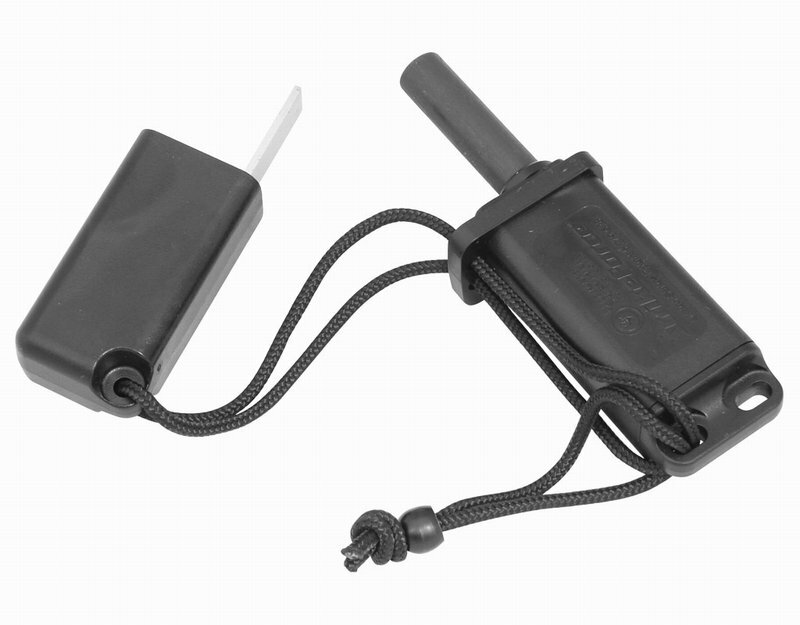 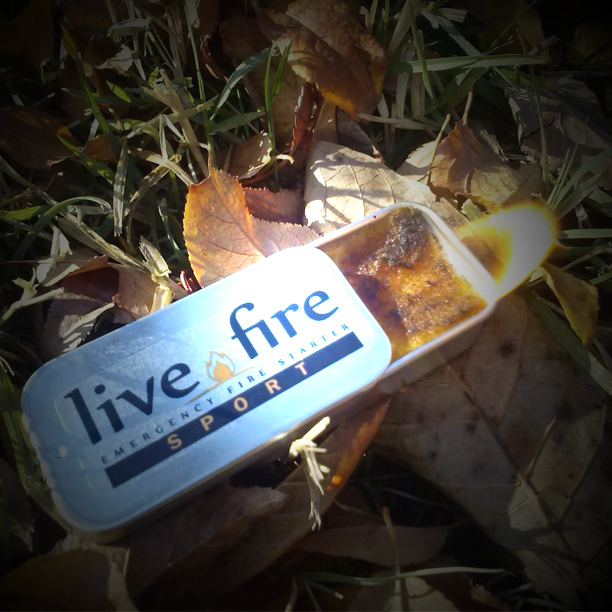 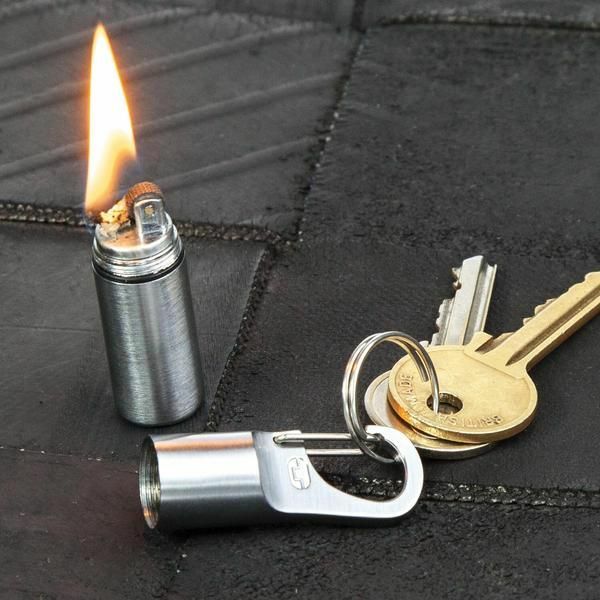 This "Peanut" lighter is an excellent little lighter for your pocket, keyring or cook kit. It is dead simple and has so few moving parts you can't go wrong. 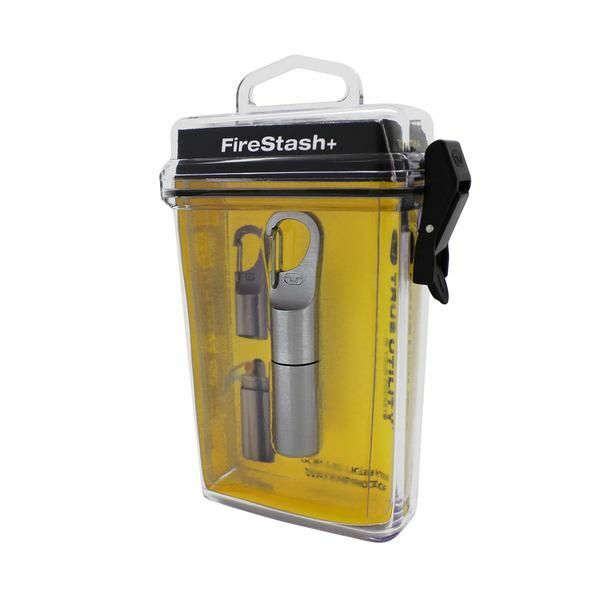 It will run on petrol, lighter fluid or any similar flammable liquid and is completely waterproof meaning your fuel won't evaporate and if you happen to drop it in a puddle it won't effect it's ability to light, so long as the lid is secured. 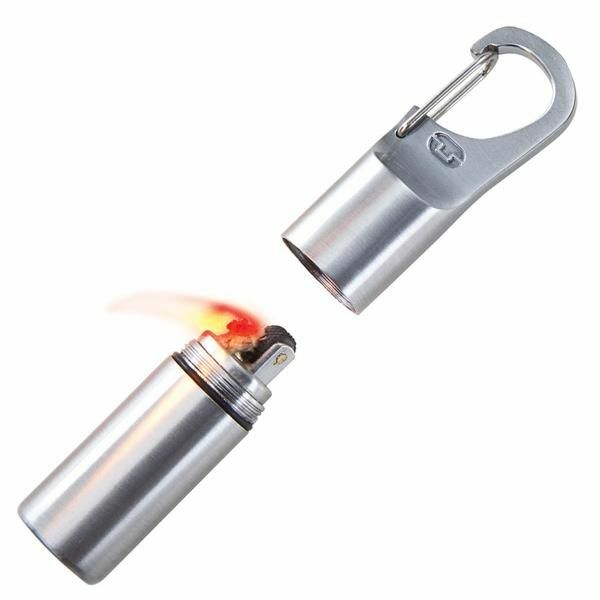 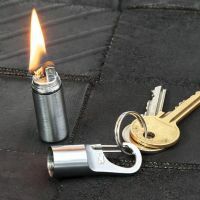 This unbelievably small waterproof key-ring canister houses a fully working lighter that is ready to ignite are your command. 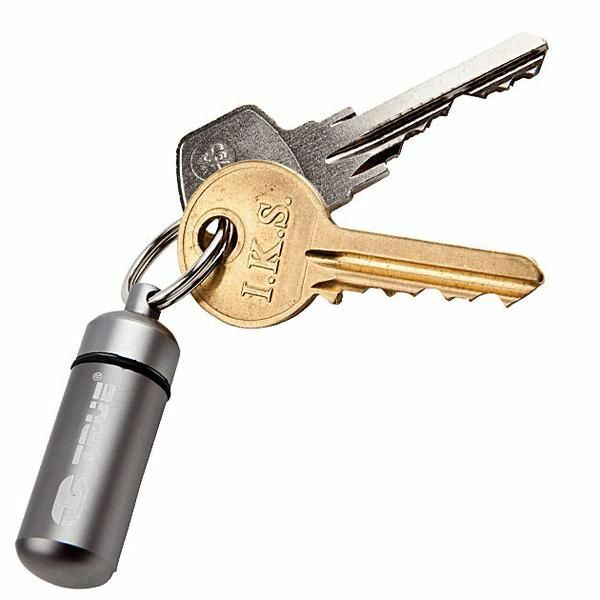 Attach to your key-ring for essential outdoor use. 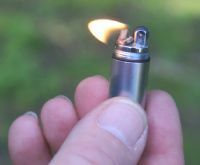 Refill with standard lighter fuel. 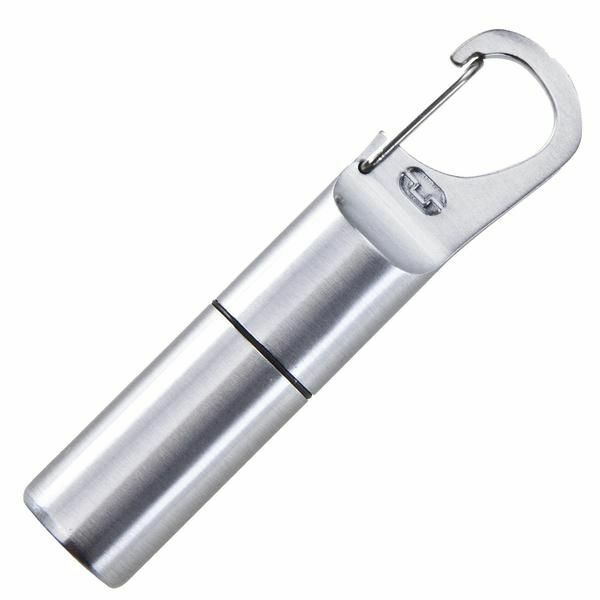 Clip lid with a flat base.